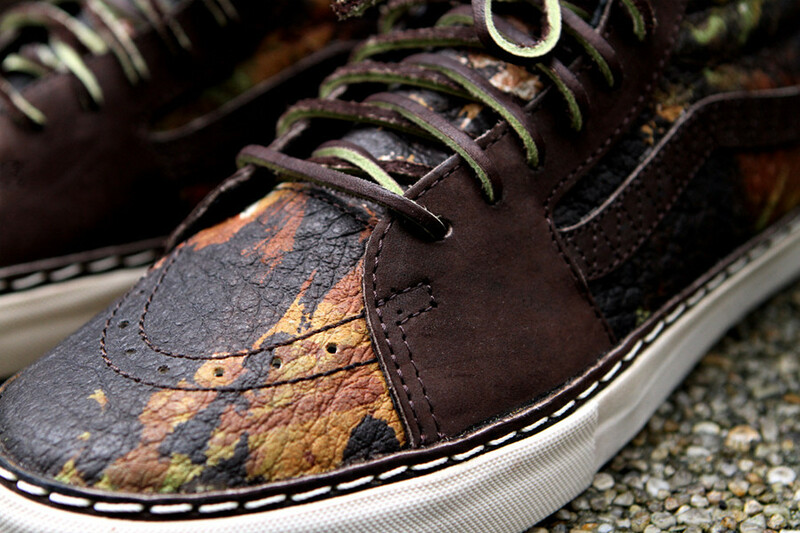 It's the Fall and if camo is in order then at least let the print match the terrain. 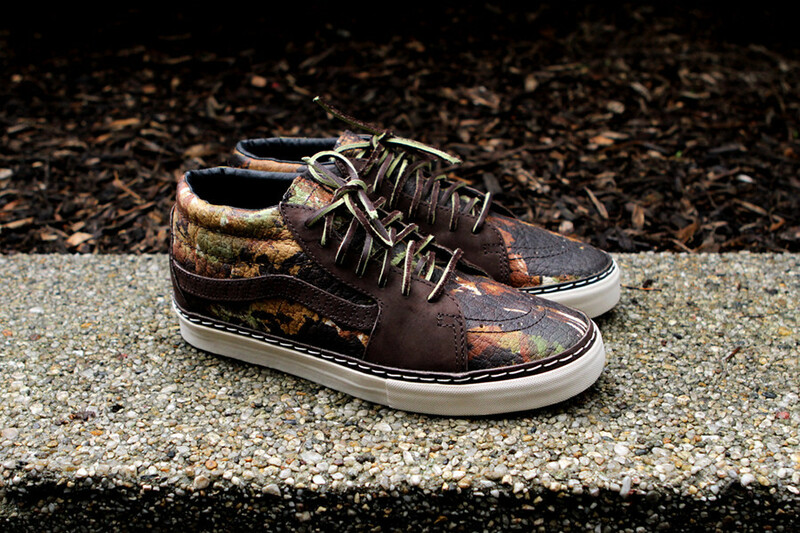 The city is buzzing with multi-color leaves falling off of trees and Vans Vault has got your feet covered with the appropriate camo for a city dweller. 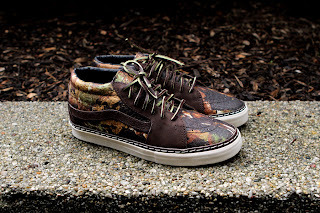 Their new Sk8 Mid Horween Camo Sneaker is an fresh shoe for Fall that perfectly captures the aesthetic of the season with the leaf printed full leather upper. 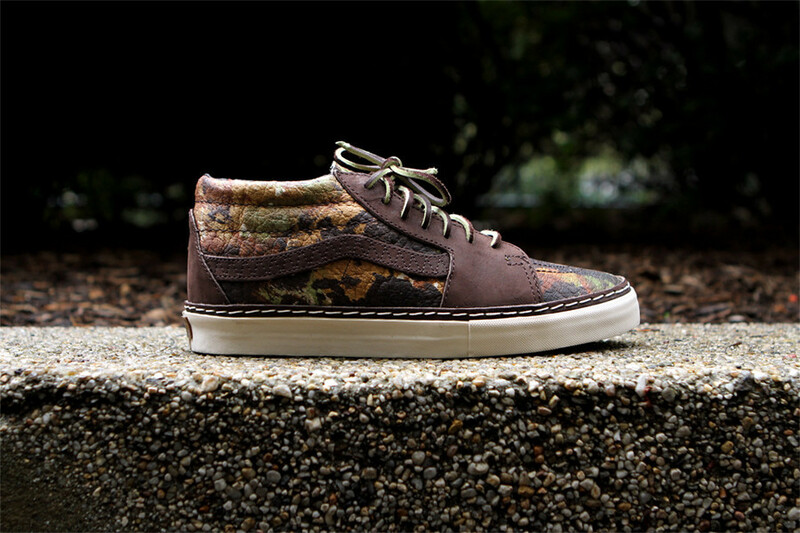 Then since this is a Vans Vault sneaker, details like the premium leather paneling and thick contrast stitching on the midsole give it that Van Vault edge. Available now at Kith NYC and their website.